Our talent is our greatest multiplier. What’s possible? It’s a question this premier technological university is well-equipped to ask of our students—and to encourage our students to ask. Similarly, WPI’s esteemed scholars and researchers, and the staff who work alongside them, ask this of themselves and each other with every new term, project, and partnership. It’s this spirit that makes WPI—this institution of theory and practice and impact, of innovation and collaboration and humanity—a truly great place to work. We call this Great Minds Multiplied, and it's part of what makes WPI truly distinctive. Within the Division of Talent & Inclusion, you will find traditional human resources tools and programs—but our strategic focus is expanding. 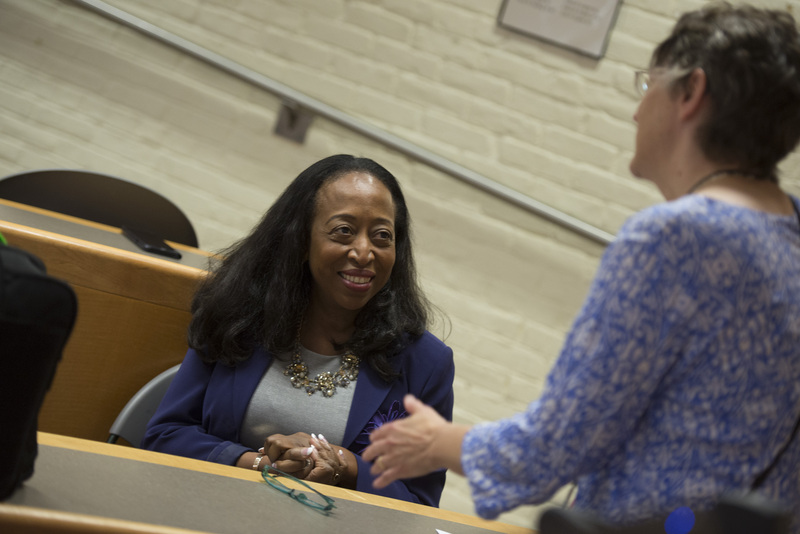 WPI is dedicated to the recruitment, engagement, retention, and on-going development of diverse faculty and staff who are personally invested in the university's continuing success. This welcoming and respectful community creates an energy that allows our employees and our students to thrive. You'll hear it talked about as talent, engagement, and inclusion, but you'll see it in action here. Jean King, Dean of Arts & Sciences, talks to bio and biotech professor Liz Ryder. Foisie Business School professor Bengisu Tulu and WPI custodian Janice Frederick look at books Frederick authored. Mechanical engineering department head Jamal Yagoobi works with students. IMGD professor Farley Chery mentors students as they develop new approaches to interactive media. President Laurie Leshin snaps a selfie at the MITRE-WPI Collaboratory opening. Employees look over the offerings at WPI's annual Benefits Fair. We know healthy employees are happier and more productive, so WPI faculty and staff have access to varied health and wellness programs. From healthy cooking and book discussions to drop-in meditation hours to intense boot camp lunchtime workouts, there is something to fit everyone's preference. On the path to wellness, employees develop meaningful connections that make WPI a community, not just a workplace. 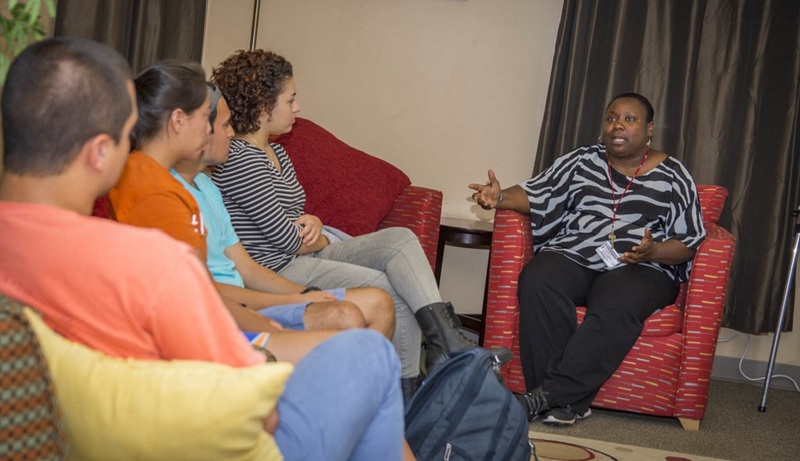 WPI honors the diversity each member of our community brings to campus. Diversity, inclusion, and equity aren’t buzzwords here—creating a community where people are comfortable enough to express themselves and where they feel their opinions count is part of WPI’s mission. We learn from each other and celebrate our differences. I use my lunch hour whenever possible to play “noon ball,” pick-up basketball with fellow faculty, staff, and students, to stay well both physically and mentally. It’s a great stress release, and it gets my endorphins going mid-day so I can stay sharp.